Thanks to the support of the Durango City Council and the Citizens of Durango, the City has been recognized as a Tree City USA since 1980 and through working with the Public Works Department to minimize damage to trees during construction projects, landscape review with the Planning & Community Development Department, and the Christmas Tree Recycling Programs, the City of Durango also has received the Growth Award since 1993.
. Conserving energy, by providing shade and evaporative cooling transpiration; . through Reducing local and global air pollution by absorbing carbon dioxide ozone, absorbing particulate matter and producing oxygen; . and Reducing wind speed and directing air flow; . Providing habitat for birds, small mammals and other wildlife; . Reducing runoff and the potential for soil erosion; .. Increasing real property values; Enhancing visual and aesthetic qualities that attract visitors and busiand serve as a source of community image and pride; and . nesses Recreation and relaxation. Arbor Day on that date. But a number of state Arbor Days are at other times to coincide with the best tree-planting weather, from January and February in the south to May in the far north. Arbor Day has now spread beyond the United States and is observed in many countries of the world. In some countries it is the king and queen who lead the national celebration and in many countries exotic trees not suited to North America are planted in commemoration of the day. J. Sterling Morton was proud of the success of Arbor Day and noted, “other holidays repose upon the past. Arbor Day proposes for the future.” He thought trees are much superior to cold marble as a memorial to persons or events. “How much more enduring are the animated trees of our own planting,” he said. TREE CITY USA The National Arbor Day Foundation, in cooperation with the U.S. Forest Service and participating Foresters of the National Associaiton of State Foresters, recognizes towns and cities all over America who meet the standards of the Tree City USA program and are effectively managing their tree resources. 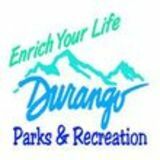 Durango, Colorado has met those standards and has been duly recognized annually since 1980. Each year, typically on the first Friday in May, the Parks and Recreation Department and the Parks and Recreation Advisory Board celebrates Arbor Day with a tree planting ceremony and participation from area schools. During this ceremony, Durango receives its Tree City USA recognition and recognizes those who have planted Memorial or Honorary trees. If you are interested in Durango’s Arbor Day celebration, please call the Parks and Recreation Department at 375-7300. TREE & SHRUB ORDINANCE The following is a summation of the major points included in the Tree and Shrub Ordinance, primarily as they relate to private citizens. A copy of the complete ordinance may be obtained at the Parks and Recreation Department or Planning and Community Development Department. This ordinance provides for the care of trees and shrubs on public right-of ways and aids in the proper growth of a landscape program to enhance the beauty of the City. Voluntary compliance is sought as the prime means of enforcement of certain provisions if the objective of City beautifications are to be met. The ordinance provides for a controlled, planned and consistent tree care program on public right-of-ways which will provide a demonstration of proper tree and shrub care. Advisory Board and approval by City Council. 4. The Director of Parks and Recreation and the City Arborist are the enforcing authority for planting, location and replacing all trees on public streets and other public property, as well as their trimming and removal. The Parks and Recreation Board serves in an advisory capacity. 5. All trees in the public parks and all trees along the public streets have been inventoried as to location, species and condition. 6. Hedges and shrubs within 10’ of curb at a corner must be trimmed and stand no higher than 36” above sidewalk. 7. Any property within the city limits may be inspected for diseased plant material. The Director of Parks and Recreation or the City Arborist will notify the property holder in writing to correct the situation. If there is no compliance, the City will correct the situation and assess the property owner. 8. Trees on private property should not provide a menace to public travel and must be trimmed for 14’ clearance above streets and 8’ clearance above sidewalks. Tree roots may not cause upraised sidewalk slabs. Any tree causing a hindrance or endangering the public may be declared a public nuisance by the Director of Parks and Recreation and/or the City Arborist. If the condition is not corrected by the owner following written notification, the Director of Parks and Recreation and the City Arborist will see that the nuisance is corrected and the owner billed for the cost. 9. Appeals are filed with the City Clerk and heard by the Parks and Recreation Advisory Board. STREET TREES In 1982, the City Council passed an ordinance placing all responsibility for street trees which are in the public right-of-way on the Durango Parks and Recreation Department/Forestry Division. This is the area most commonly referred to as being between the curb and the sidewalk. In areas of town where there are no curbs and sidewalks, please contact our office and we will give you an exact measurement of potential city right-of-way. It is hereby prohibited for anyone to remove, prune, spray or hang anything on any tree listed in the boundaries mentioned above. The responsibility is placed on the City for removals, pruning, and spraying of all trees in the public right-of-way. Any questions on this section or items you may deem an emergency or in need of immediate attention, please call the Parks and Recreation Department at 375-7300. Plant for where you want the shade during the hottest time of the year and the time of day you desire the shade. High, wide-crowned trees with deciduous leaves are the best providers of shade. background. Trees can also add visual appeal to a patio, pool or play area or they can be used to separate spaces and provide space enclosures. A tree with color or some other showy feature can be used as an accent point in your landscaping picture. Low-branching conifers that hold their foliage are most effective for screening unsightly areas and providing privacy. Noise is best reduced by tall, densely planted trees with fleshy, broad leaves. If combined with conifers, some noise reduction can be extended throughout the year. Dust can also be filtered by such a combination. Windbreaks can be made most effective through a dense, step-like arrangement of both conifers and deciduous trees. However, for protection on south and east sides of a house, deciduous species work best because they allow incoming solar radiation in Winter. Trees can help to visually delineate your property. Small, narrowcrowned species will do the job while not invading your neighborâ&#x20AC;&#x2122;s space. SIZE AND LOCATION Available space is probably the consideration most often overlooked or misunderstood when deciding what tree to plant. Even for professionals, it is often difficult to envision the planting site 5, 10, or even 20 years in the future. Yet this is essential. Before planting, know what the tree will look like as it nears maturity. Consider its height, crown spread and root space. The character of tree crowns and the form or shape of trees varies among species as much as leaf shapes or bark patterns. Shape is another clue to how well a tree will fit the space you have available, what problems might occur, and how well it will help meet the goals you have for your property. DURANGO HARDINESS ZONE Please Note: Your zone can vary between zone 4 â&#x20AC;&#x201C; 6, depending where you are located in relationship to Durango. The Wichita Blue has bright, silvery-blue foliage, on densely arranged, upright, spreading branches that flare outward creating a broad, pyramidal juniper. PINE Austrian Pine Pinus nigra Mature Height: 40 – 60’ Mature Spread: 30 – 40’ Water Requirement: Adaptable – Dry Exposure: Sun Altitude: 8,000’ A broad, pyramidal to oval evergreen with thick plated, dark brown bark and wide spreading branches. Moderately long needles are dark, shiny green. Spreading branches sweep upward to create a bushy, broadly rounded evergreen with scaly, orangish-brown bark. Stiff, flattened needles are deep green. Ponderosa Pine/Native Water Requirement: Dry Pinus ponderosa Exposure: Sun Mature Height: 60 – 80’ Altitude: 9,000’ Mature Spread: 30 – 40’ Long, slender, light green, often yellowish needles are loosely arranged on open, spreading branches to form a large pyramidal crown. Thick plated bark is cinnamonred to dark brown. Colorado Spruce/Native Picea pungens Exposure: Sun Mature Height: 40 – 60’ – Filtered Shade Mature Spread: 20 – 30’ Altitude: 10,000’ Water Requirement: Adaptable Deeply grooved, grayish-brown bark and stout horizontal branches clothed by short, stiff needles ranging from green to silvery-blue create a dense, broad pyramidal conifer. Southwestern White Pine/Native Pinus strobiformis Mature Height: 40 – 50’ Mature Spread: 20 – 30’ Water Requirement: Adaptable–Dry Exposure: Sun Altitude: 9,000’ A conical to rounded crown with layered, spreading branches clothed by slender, soft-textured, bluish-green needles. Ashy-gray bark becomes rough, blackish-gray as it ages. Water Requirement: Adaptable Western Hackberry Exposure: Sun Celtis occidentalis Altitude: 9,000’ Mature Height: 50 – 60’ Fall Color: Yellow Mature Spread: 40 – 50’ Upright branches arch to create a high canopy of rounded habit. Blocky bark is light gray with knobby ridges. The bright green, serrated leaves turn yellow in autumn. HONEYLOCUST Imperial Honeylocust Gleditsia triacanthos inermis `Imperial’ Mature Height: 30 – 40’ Mature Spread: 30 – 40’ Water Requirement: Adaptable Exposure: Sun Altitude: 6,500’ Fall Color: Yellow A graceful tree with spreading, thornless branches forming a tight rounded crown. Leaves consist of small, oval, bright green leaflets fading to soft yellow in fall. Seedless. Shademaster Honeylocust Gleditsia triacanthos inermis Mature Height: 40 – 50’ Mature Spread: 30 – 40’ Water Requirement: Adaptable Exposure: Sun Altitude: 6,500’ Fall Color: Yellow This thornless tree is an open, rounded tree with arching branches that turn upward at the ends. The rich green, small oval leaflets make up the light textured leaves that become lemon yellow in the fall. Little Leaf Linden Tilia cordata Mature Height: 40 – 50’ Mature Spread: 40 – 50’ Water Requirement: Adaptable Exposure: Sun Altitude: 6,500’ Fall Color: Yellow This tree is the parent tree to Greenspire and Glenleven Linden trees and like them, the Little Leaf is an erect pyramidal tree with a dense canopy. Sterling Silver Linden Tilia tomentosa `Sterling Silver ‘ Mature Height: 40 – 50’ Mature Spread: 20 – 35’ Water Requirement: Adaptable - Dry Exposure: Sun Altitude: 6,500’ Fall Color: Yellow Large, broadly heart-shaped leaves that are dark green with silvery undersides produce a thick cover on this pyramidal to upright-oval tree. Fragrant, yellowish-white blossoms are produced in late spring to early summer. English Oak Quercus robur Mature Height: 40 – 60’ Mature Spread: 40 – 60’ Water Requirement: Adaptable Exposure: Sun Altitude: 6,000’ Fall Color: Golden yellow Stately, spreading branches form a broad, conical to irregularly rounded crown. Smooth, dark brown bark develops deep grooves becoming dark gray as it ages. Dark green, lobed leaves turn golden-yellow in the fall, with dry leaves persisting through winter. Red Oak Quercus rubra Mature Height: 40 – 60’ Mature Spread: 40 – 60’ Water Requirement: Adaptable Exposure: Sun Altitude: 6,000’ Fall Color: Bronze to Wine Red Wide plated, shallowly grooved bark is ashy-gray, sometimes black. Well balanced branches sweep upward to form a globular canopy. Sharply lobed, dark green leaves turn to bronze and winered in the autumn. Shumard Oak Quercus shumardii Mature Height: 50 – 60’ Mature Spread: 40 – 60’ Water Requirement: Adaptable Exposure: Sun Altitude: 6,500’ Fall Color: Orange-Red The bark is a smooth light green when young and becomes furrowed and dark gray-brown as the tree matures. Deeply lobed green leaves turn orange-red in the fall. This makes an outstanding street tree section and also works well in any landscape setting. White Oak Quercus alba Mature Height: 40 – 60’ Mature Spread: 40 – 60’ Water Requirement: Adaptable Exposure: Sun – Filtered Shade Hardy to Altitude: 6,000’ Fall Color: Wine Red This is a picturesque tree with thick, horizontal branches forming a broad rounded canopy. Light ashy-gray bark is divided into narrow rectangular blocks. Deeply lobed leaves are dark green with a bluish cast in summer and turn wine red in fall. Exposure: Sun Altitude: 6,500’ Fall Color: Yellow The Sycamore has a broad spreading crown. SHRUBS There are many selections available within each variety. Check with local nurseries on other choices available for your landscape needs. Amur Maple Shrub Form Acer ginnala Mature Height: 15 - 20’ Mature Spread: 20 – 25’ Shape: Spreading, irregular A graceful shrub with spreading, slender branches and fragrant flowers. This shrub can take sun or part shade, is adaptable to many soil types and is extrememly hardy. Arnold Red Honeysuckle Lonicera tatarica `Arnold Red’ Mature Height: 6 - 8’ Mature Spread: 6 - 10’ Shape: Upright This has the darkest red blossom of any honeysuckle and has a profuse flower display. Fragrant pink-white flowers in May followed by a brilliant show of large bright red berries through June and July. This shrub likes sun or partial shade, is easy to grow in reasonably well drained soil and makes a good border. Common Purple Lilac Syringa vulgaris Mature Height: 12 - 15’ Mature Spread: 8 - 12’ Shape: Upright, vase shaped. This shrub has delicate, fragrant, purple flowers in May and makes for a perfect, informal hedge. Common Snowball Viburnum Viburnum opulus ‘Roseum’ Mature Height: 10 - 12’ Mature Spread: 10 - 12’ Shape: Rounded This showy plant blooms profusely with large, double white flowers in April – May, which make it a very popular shrub. It is also known as Viburnum opulus ‘sterile’. Goldmound Spirea Spirea x ‘Goldmound’ Mature Height: 18 - 24” Mature Spread: 2 - 3’ Shape: Low, mounded Goldmound Spirea was introduced in 1980. This bushy plant likes sun and has pink flowers in June and July. Makes an outstanding small colorful foliage plant for accent or contrast as a foundation planting or shrub border. Variegated Weigela Weigela florida ‘Variegata’ Mature Height: 4 – 6’ Mature Spread: 6 – 8’ Shape: Rounded, compact This compact grower has pink flowers and green leaves that are edged in colors of pale yellow and cream. Western Sand Cherry/ Native Prunus besseyi Mature Height: 5 – 6’ Mature Spread: 5 – 6’ Shape: Rounded This shrub has single white flowers in May and in summer, great quantities of ¾” purple-black sweet fruits, which are used for preserves. This xeriscape plant is very hardy and tolerates hot, dry soil, but prefers well drained soil. Winged Euonymus Euonymus alatus Mature Height: 10’ Mature Spread: 8 – 12’ Shape: Rounded This shrub has corky bark, yellow flowers in May to June and has long lasting fall color. It likes full sun, is a xeriscape plant and is good for borders and screens. TREE PLANTING Planting is probably the most important stage in a treeâ&#x20AC;&#x2122;s life. Proper handling and care before planting and proper planting procedures are essential to survival and growth. Early spring, when the frost leaves the soil, is the best time to plant trees. In Colorado, this is usually by March 15. Mid summer plantings are more hazardous because of higher temperatures and greater water loss from fully leafed plants; transplanting at that time will usually result in some top die-back if not death because the root system cannot provide needed water. Fall plantings are also troublesome because of variable fall and winter weather. A tree transplanted in the fall may not have sufficient root growth before a hard freeze and might not be able to take in needed moisture. If at all possible, try to conduct tree plantings in early spring. There are three steps to proper tree planting: soil preparation, tree placement and backfilling. 1. Tree Placement. Placement of the tree in a proper sized hole should be the first step. The width of the hole should be two times the size of the ball or container, or eight to twelve inches of open space around the ball. This will allow space for proper backfilling. Bare root trees require a hole large enough so roots are spread out and not bent. All holes should be dug with straight sides. The hole should be dug so the top of the root ball will be two inches above ground level. This will allow for settling in the hole. In heavy clay soils, the ballâ&#x20AC;&#x2122;s top should remain two to four inches above ground level to allow for water run-off and root aeration. Trunk Protection Wrap trunk for first winter and remove in spring. Canvas webbing or approved equal. Tree Staking #10 guy wire; attach to grommets in straps. Steel posts or approved equal. Remove guy wires and posts after one growing season. Planting Plant root ball 2â&#x20AC;? above existing grade Roughen side of planting pit. Specified backfill mix. Remove all twine around trunk and top 2/3 of wire around ball. production, invasive habits, fruit, pods, thorn bearing, weak limbs and/ or structure and insect and disease problems. Russian Olive Elaeagnus angustifolia This species is noxious and invasive to native species in the area and is banned from being sold in Colorado. This species is listed for eradication. Tamarix (Salt Cedar) Tamarix ramosissima This species is noxious and invasive to native species in the area. This species is listed for eradication. Siberian Elm Ulmus puimla This species is prolific in seed production, is invasive, prone to weak limbs, insect and disease problems. Boxelder Acer negundo Except “Sensation Boxelder”. The female trees of this species is prolific in seed production, is invasive and prone to weak limbs, insect and disease problems. Crabapple (malus) All varieties, except “Spring Snow Crabapple”. Abundant fruit production and are highly susceptible to disease problems. Evergreens Spruce, Pine and Fur varieties are not allowed in public right of way. Aspen Populus tremuloides This species is short lived and very susceptible to Canker Disease and insect prone. Cottonwood (populus) All varieties This species has a weak limb structure, is desease and insect prone and is a poor street tree selection. Willow (Salix) All varieties Willows are fast growing, but have a weak limb structure and are short lived. They are also susceptible to many insects and diseases. Autumn Blaze Maple Acer x freemani This species’ trunk splits as the tree matures and color is prone to premature change. TREE MAINTENANCE Little maintenance is needed on young trees, except for irrigation and fertilization. Irrigate only when needed and then thoroughly soak the soil. A tree will need watering when the soil is dry two to three inches below the surface. After the first growing season, it may be necessary to fertilize. This can be accomplished by applying fertilizer such as 10-20-10 to the ground surface in spring and watering well. Do not use “Weed and Feed” fertilizers around root zones of trees and shrubs. Use a root feeder for aerating only, or if for fertilization, extend probe only ten to twelve inches into the soil. Trees will probably need fertilization every three to five years depending on the site and amount of lawn fertilization. The best tree care is preventative maintenance. This can be initiated by a routine inspection. Check for insect and disease damage or potential and check for pruning needs of the trees. A schedule of maintenance can then be developed. Remember, proper pruning and care will prolong tree life and provide for public safety. PRUNING Tree pruning is one of the most important, yet most misunderstood maintenance practices we do to our trees. Properly pruning your tree will maintain the natural form, improve health, reduce insect and disease problems, and increase your trees’ life span. Improper pruning can destroy the trees’ natural form, create large wounds allowing disease to enter and may weaken the tree. The old technique of “flush cutting” (cutting the branch as close to the trunk as possible) is no longer the recommended method of pruning. Instead, leave a very slight stub and avoid cutting into the swollen area where branch meets the main stem, known as the branch collar. The branch bark ridge (that furrowed area in the branch crotch) should also be left uncut. Conifers normally require very little pruning except where double leaders occur or when a change in branch density is desired. Removing the terminal bud on side branches will not only slow outward growth, but also help to make the plant more bushy. If the tree develops two leaders, remove the less desirable leader early in the spring. To maintain low foliage, shear a hedge so that it is wider at the base than at the top. When a hedge has become too tall or too wide, prune approximately one-third of the old stems to stimulate new branching and dense growth. Pruning fruit trees is one of the most important steps in producing high quality fruit. Objectives are to permit entry of sunlight and remove unproductive, weak or crowded branches. Generally four to nine main scaffold branches are selected when the tree is young and maintained. The central leader is removed after the scaffold branches are selected to encourage lateral growth instead of height growth. Continue to prune undesirable branches to maintain the basic scaffold-branch structure to allow maximum light penetration for fruit production. ASSISTANCE IN TREE SELECTION AND CARE This publication provides general guidelines, information and ideas for tree and shrub selection and care. Additional knowledge and assistance can be obtained from the Durango Parks and Recreation Department, Parks and Recreation Advisory Board, Colorado State Forest Service (247-5250) and commercial arborists and nurseries. The following is a summation of the major provisions concerning landscaping with primary emphasis on the provisions relating to private citizens. A complete copy of the regulations may be obtained from the Parks and Recreation or Planning and Community Development Departments. The purpose and intent of the landscaping regulations is to provide for a well-designed landscaped treatment of development within the City of Durango. Emphasis is directed toward the treatment of exterior spaces which noticeably improves the overall quality of the development, strives toward preservation of mature and healthy trees and shrubs which are not in conflict with logical building needs and provides for consistency in design and standards for landscaping of public right-of way. The regulations further emphasize restoration of areas subject to cuts and scarring, particularly when such scarring is on a hill side and subject to public view. The landscaping provisions which pertain to public right-of-way apply to all development which is subject to a city development review. In addition, certain provisions of the ordinance pertain to landscaping on private property and apply to all zoning districts within the City with few exceptions. Landscaping plans pertaining to public right-of-way and proposed in conjunction with new development or redevelopment are to be susbmitted as part of the requisite development review documentation. Such plans are subject to review by the Director of Parks & Recreaiton and City Arborist to assure conformity in compliance with existing landscaping regulations. The Land Use and Development Code sets forth the detailed requirements in conjunction with landscaping plan specifications and reference should be made that document for such requirements. The landscaping plan specification must reflect for example, lot boundaries, location or existing and proposed improvements, location of existing and proposed structures, parking areas, pedestrian ways and landscaping areas, a statement pertaining to proposed landscaping and disposition of existing vegetation and an identification of proposed landscaping showing the location, size, species and spacing of trees and shrubs and the identification of the type of groundcover or ground treatment in all areas not covered by buildings or pavement. Design Standards All vegetation areas shall be provided with an automatic sprinkling or drip system. Isolated trees on private property or within the public right-of-way shall be provided with a drip or bubbler irrigator. The following standards shall be met in the preparation of the plan and the installation of the landscaping materials. 4.1.d. Shrubs (adequate size to be consistent with design intent) which size must be measured in inches and not by container size. 4.2. All plant material shall meet specifications of the American Association of Nurserymen for Number 1 grade. All trees shall be balled and burlapped or equivalent. Caliper shall be measured six inches above the root ball. no greater than forty (40) feet on center for shade trees and thirty (30) feet for ornamental trees. various species which shall be selected for their ability to stabilize the slope and prevent erosion. Landscaping shall be installed in accordance with the landscaping plan and any financial security agreement prior to the issuance of an occupancy permit for the project, or part thereof if a phased project. If the landscaping for the project cannot be completed due to the season of the year, an amendment of the development schedule may be considered by the Department. Enforcement of the landscaping regulations is vested in the City of Durango. Landscaping plans must be approved prior to the issuance of any building permit for new construction and once approved, all landscaping must be installed in accordance with the landscaping plan or satisfactory arrangements must be made for such installation prior to the issuance of any occupancy permit for improvements within the proposed development. Appeals from the provisions of the landscaping regulations may be made in accordance with the requirements and procedures set forth in the Land Use and Development Code.